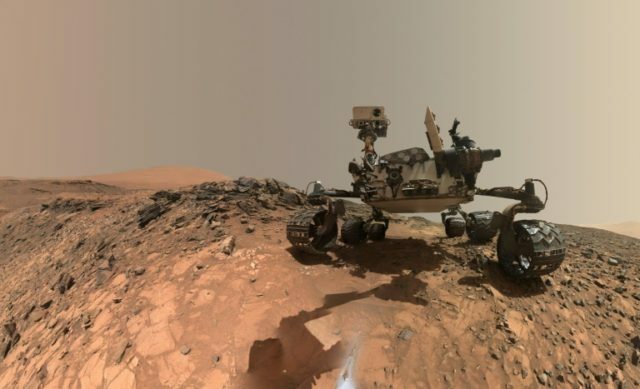 Paris (AFP) – Salty water just below the surface of Mars could hold enough oxygen to support the kind of microbial life that emerged and flourished on Earth billions of years ago, researchers reported Monday. On Earth, aerobic — that is oxygen-breathing — life forms evolved together with photosynthesis, which converts CO2 into O2. The gas played a critical role in the emergence of complex life, notable after the so-called Great Oxygenation Event some 2.35 billion years ago. But our planet also harbors microbes — at the bottom of the ocean, in boiling hot springs — that subsist in environments deprived of oxygen. The researchers devised the first model to describe how oxygen dissolves in salty water at temperatures below freezing. A second model estimated climate changes on Mars over the last 20 million years, and over the next 10 million years. Taken together, the calculations showed which regions on the Red Planet are most likely to produce brine-based oxygen, data that could help determine the placement of future probes.